One of the best ways to look great in a swimsuit is to slip into one for your workout. 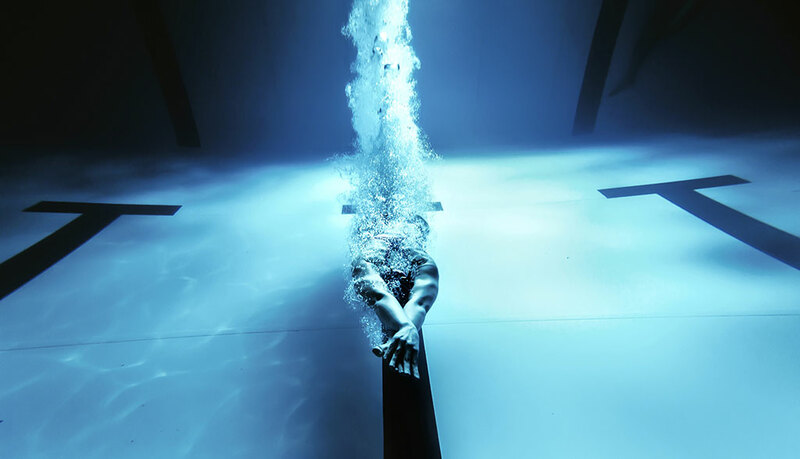 Swimming is by far one of the optimal types of exercise. Not only does it provide you with resistance you can work against to build more muscle and burn more fat, but it is low-impact, so any one of any age and any fitness level can do it. Of course, you’re not going to lose much weight just dog paddling around the pool. If you want to lose serious fat, you need to slip into your best sports swim suit and ignite your fat burning engines. To do this, you need to tap into your anabolic system: that system that fuels your body without the presence of oxygen. Instead, you draw on your glucose and glycogen to fuel your movement. The result? You use existing energy stores instead of O2, and you burn more fat. So, the question remains, how do you get an anaerobic swimming workout? Interval training uses short, intense bursts of energy followed by a short period of active recovery (minimal intensity) to maximize your workout, and increase your fat burning gains. When you’re pushing yourself through those intense bursts, you’re working in your anaerobic zone, and you need to be pushing yourself to your limit. Remember: you won’t be doing it for long! You continue to cycle back and forth between your working sets and your active recovery sets until your time’s up. When is your time up? That’s the other good news: when you interval train, you don’t have to workout for long. As little as 20 minutes can give you better long-term metabolic health than an hour on the treadmill. Of course it does. So suit up! Here’s your fat-blasting swimming workout. You’re going to do this workout in a circuit. Start with exercise #1 and then move to #5. Cycle through the circuit 3-5 times, depending on your current fitness level, and then call it a day. Exercise 1: Front Crawl at maximum intensity — 1 minute. Treadwater or jog on spot in pool for 20 seconds. Exercise 2: Butterfly at maximum intensity — 1 minute. Treadwater or jog on spot in pool for 20 seconds. Exercise 3: Back crawl at maximum intensity — 1 minute. Treadwater or jog on spot in pool for 20 seconds. Exercise 4: Flutter kick at maximum intensity — 1 minute. Treadwater or jog on spot in pool for 20 seconds. Exercise 5: Reverse flutter kick at maximum intensity — 1 minute. Treadwater or jog on spot in pool for 20 seconds. For this short and sweet workout to burn the fat and build the muscle that will keep your fat burning engines revved, you need to work hard. Super hard. On a scale of 1 – 10, with 1 being lying on the couch doing nothing and 10 being working so hard you’re ready to vomit, you need to be working at a 9. This is the only way you’re going to see the results you’re working toward. Eva Forde is a dedicated and passionate freelance lifestyle blogger. She blogs over at evafordebeauty.blogspot.com about Fitness and Fashion. Swimming is the best way to loose weight.It help kids to increase their height and also to remain fit and healthy. I agree, and also swimming is really fun! !